The only thing more reliable than rising gas prices is the wear and hits your car endures over its lifetime. Knowing how to repair your car dent without taking it to the body shop is a valuable skill for any car lover. 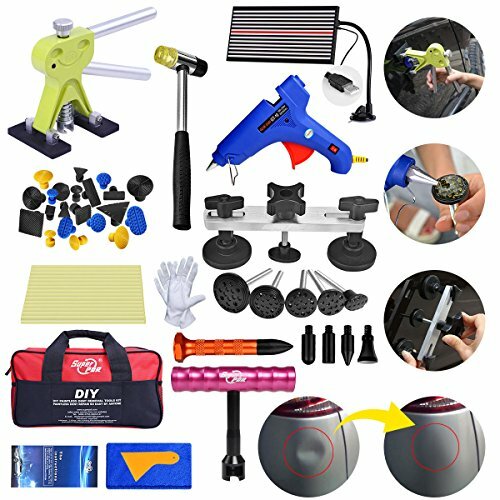 If you want to restore or just fix up any car, this is the dent repair kit for you. Saves you money and is the economical alternative to costly dent professionals. Well a starter repair kits for irregular dent damage. Fly5D PDR tools works great on mental surface such as car body,bumper,car roof panel,motorcycle,refrigerator,washing machine etc..
We provide 2 years' quality warranty.If you have any product problem concerned, please don't hesitate to contact us as soon as possible, we will try our best to solve it for you.